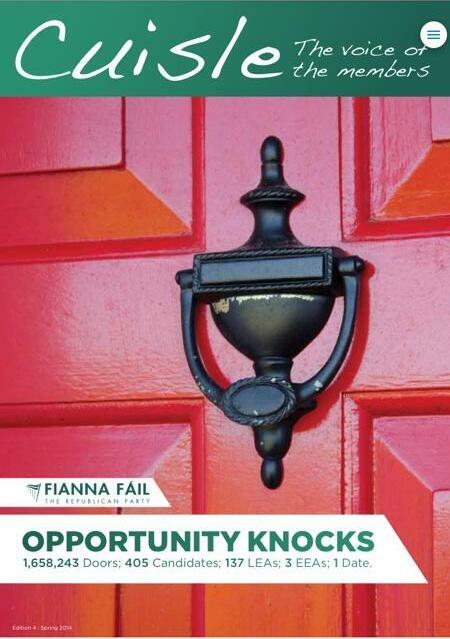 This is an article I have written for the March 2014 Árd Fheis issue of Fianna Fáil’s members’ magazine Cuisle. Underpinning Gallagher’s 2010 comments is the idea that Fianna Fáil has never been that good at opposition. It is a fair point. Not only have we not spent much time in opposition, as Gallagher points out, it is almost 30 years since we last spent a full Dáil term there. We thought our world had ended in Nov 1982 when we ended up a mere 5 seats ahead of Fine Gael, though it is worth recalling that its vote then, 39.2%, is still the biggest percentage vote Fine Gael has ever won. 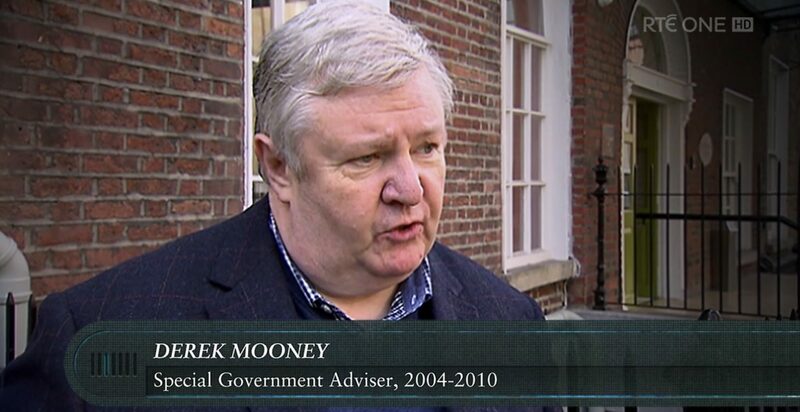 Not only was Fine Gael on 70 seats, it was ensconced in Government with its most popular leader to date. Faced with those realities we could not be blithely sure that we would spend just one term in opposition. The prospect of two successive terms was a stark possibility. That is why we should look to that period for lessons and insight. We quickly grasped that we needed to perform strongly in opposition – we needed to hold the Government to account. To that end the party established a series of policy committees, manned by party members with demonstrable abilities or expertise in specific areas. These committees worked with the spokespeople but were not run by them. Neither were they mere talking shops, members were assigned very specific tasks, there were no passengers in this process. While these committees did not “make policy”, that remained the prerogative of the parliamentary party, their work and inputs helped underpin the policy platform that emerged in the run up to the 1987 election. Back in the 1980s the party looked to the membership to take up the slack on the policy side – and it is what we must do again today. While the party’s membership, its structures, its needs and demands are as great as they ever where, the truth is that we do not have the resources we had. Actually, that is the point: even the pre-2011 manpower levels in both party HQ and Leinster House would not be sufficient to meet today’s demands. Not only have the staff numbers been halved, the Programme Managers and Ministerial Advisers, of whom I was one, that once supplemented those teams are also gone. Yet, conversely, there appears to be some unexpressed reluctance to properly harness the real expertise we possess within the party. This is not a demand to allow individual members to start writing the next manifesto – far from it. Neither is it a call for everyone to email in their two-line pet idea: we need considered analysis, not random suggestions. Rather, is it is a plea for us to recognise that we need, in this area, to take a leaf out of our 1982-87 playbook and structure expert membership inputs. Our party’s research people have come up with some important and innovative proposals, not least our Family Home Protection and Debt Resolution Bills. They have done some serious work: but you would be hard pushed to know that from the press coverage. In the absence of any over arching narrative or analysis our individual statements can come across as micro policy responses rather than as co-ordinated parts of a coherent alternative. Fine Gael could get away with that flannel during its time in opposition, but Fianna Fáil does not have the luxury they had: a Government unable to communicate with its own supporters. To borrow a phrase from the 1980’s: the next phase of our recovery will be dependent on policies and substance. While the headline numbers in recent published polls have brought us little comfort, the high level of voter dissatisfaction with the current Government demonstrates that there is demand for a realistic viable alternative. That alternative must be based on sound analysis and presented by a purposeful opposition that utilizes all the tools, skills and talents available to it. Next postWill the “Don’t knows” and “Won’t Votes” be the real victors in #ep2014? Excellent analysis. That 1982-87 period produced many excellent policy documents, a prime example being the strategy for the IFSC, which still yields billions a year in taxes, and tens of thousands of jobs. In the rare periods that FF have spent in opposition they have more usually adopted the policy of pointing out the government’s screw ups and waited to be re-elected, but there are now too many others on the opposition benches using that formula, and FF dirtied it’s bib too much from 2002, for that strategy to work. It’s going to be hard work, and well thought out policies that succeeds, not opportunism and PR stunts.